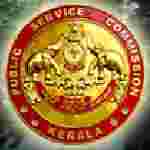 Kerala PSC recruitment 2017 notification has been released on official website www.keralapsc.gov.in for the recruitment of 04 (four) for Attender Grade II vacancies. Job seekers should apply on or before 03rd January 2018. Educational Qualification: Pass in SSLC or equivalent qualification. Age Limit: The age of candidate should be between 18 to 41 years as on 03.01.2018. Interested and eligible aspirants should apply online through the website www.keralapsc.gov.in on or before 03.01.2018.